Gear up like a true Spartan warrior with these Halo 5 crew socks! 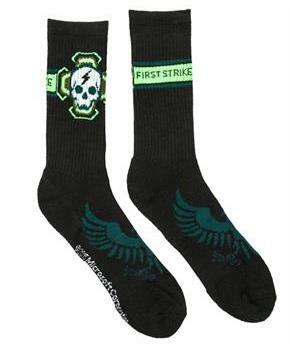 Stylish black socks feature the text "First Strike" along with skull and UNSC logos. 100% cotton socks fit men's sock sizes 10-13. Officially licensed. Gear up like a true Spartan warrior with these Halo 5 crew socks! 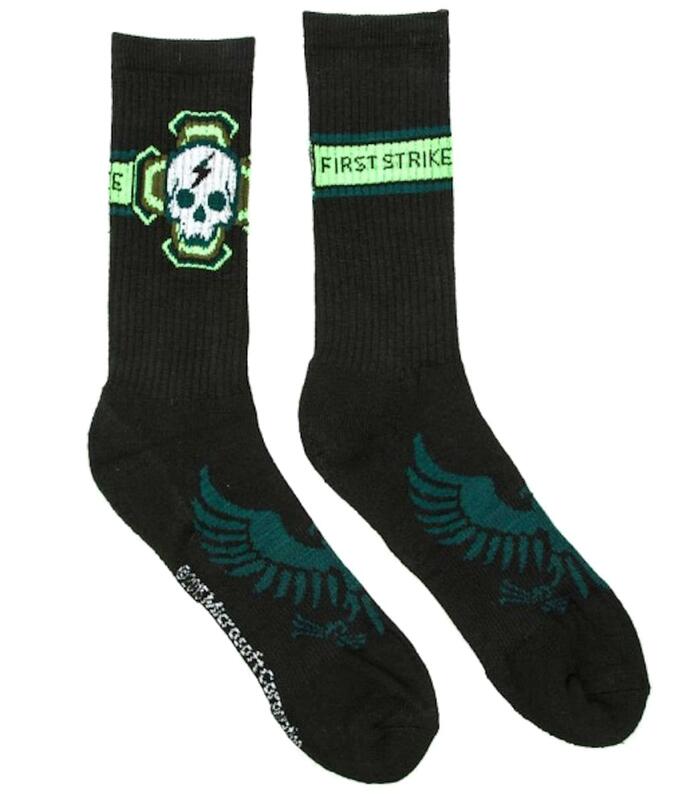 Stylish black socks feature the text "First Strike" along with skull and UNSC logos.